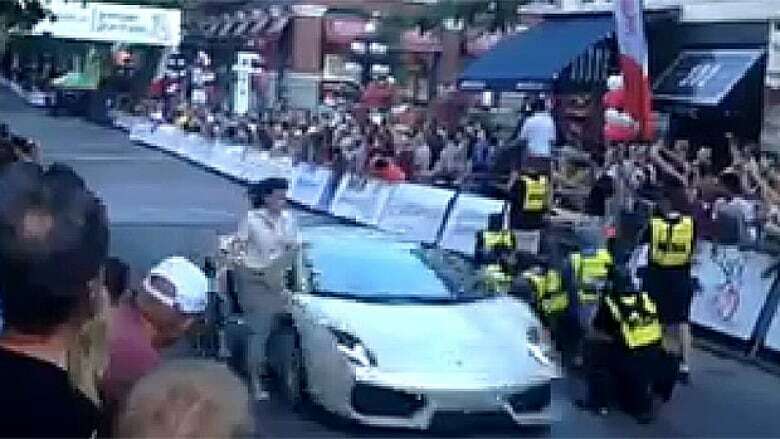 A woman, who was clipped by a Lamborghini pace car during the finish of the women's event at the Gastown Grand Prix cycling race on Wednesday night in downtown Vancouver, has been released from hospital. The woman, who was a race official, appeared to be unaware of the car coming up rapidly behind her as she ran out to apparently cross the race course. Volunteer race commissionaire Gloria Bordon was taken away in an ambulance with minor injuries. The car's mirror was knocked off the vehicle's passenger side. On Thursday race officials confirmed she had been released from hospital and was resting. The Gastown Grand Prix is one of nine bike races that make up B.C. Superweek, a 10-day series of pro and amateur cycling events currently underway around Metro Vancouver.